These First Aid at Work e-learning course materials are intended for use by people that want to make e-learning an additional part of their learning and development offering. It is a legal requirement for employers to provide adequate and appropriate equipment, facilities and personnel to ensure their employees receive immediate attention if they are injured or taken ill at work – The Health and Safety (First-Aid) Regulations 1981. 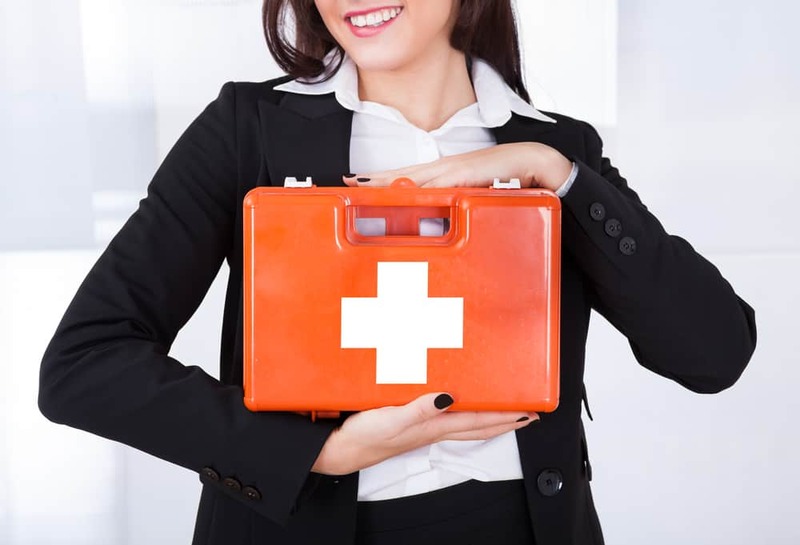 In this first aid e-learning course you’ll be provided with all the necessary information and resources to help you meet the requirements for your organisation as well as gaining a real understanding of the roles of the personnel involved in first aid. The e-learning course ensures you full understand how to carry out a first aid needs assessment, providing a checklist of the important things to consider. You’ll also gain experience of how to report and record, reducing the likelihood of accidents and incidents re-occurring. The e-learning course is interactive and engaging to help make the learning easy and interesting to follow. It’s an engaging way to appreciate the requirements and importance of first aid at work. Explain factors that will influence the type and number of first aid personnel needed. Explore a number of real workplace environments and explore the first aid requirements that have resulted from the needs assessment.